Hey you! My name is RoseAllure Louis and my mission is the build a tribe of 1,000 strong with good credit. Also known as The Credit Goddess, I am a renowned Credit Strategist, Wealth Coach, certified in Credit Consultant with the Credit Consultant Association. I am based in the heart of South Florida. For nearly a decade now, I have gained in-depth experience in the finance and business space. 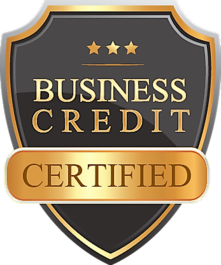 As a Certified Credit Consultant, I assists my clients in budgeting their finances, starting lucrative businesses, investing in real estate, preparing for retirement, and more. I’m a advocate for change and I love what I do. Today, I serve as the Owner & CEO of Budget Credit 360, where my team and I assists valued clients in creating financial prosperity in their lives through various tried-and-true, results-driven programs and techniques. I am well-versed in virtually all areas of the industry, from budgeting finances and launching a business, to investing in real estate and preparing for retirement. Above all, I adept in streamlining Interest Rates for my clients, to ensure it’s simple to grasp. I’ve also launched a Facebook Group called The Credit Synergy, which is a like-minded tribe of business mavens and moguls to-be. As a result, I have helped my tribe members gain credit worthiness, build their scores above 150 within a three-month timeframe, and assist them in acquiring auto and mortgage loans at reasonable interest rates. Credit Synergy’s membership base continues to grow and thrive to this day. In addition to my thriving business, I’ve recently established a collective of up-and-coming real estate investors that build credit in order to increase capital to fully fund their investments to purchase, remodel, and sell for profit. Outside of my career, I have an avid interest in real estate investing and forex (currency trading). I also enjoys exploring new places and discovering different cultures.